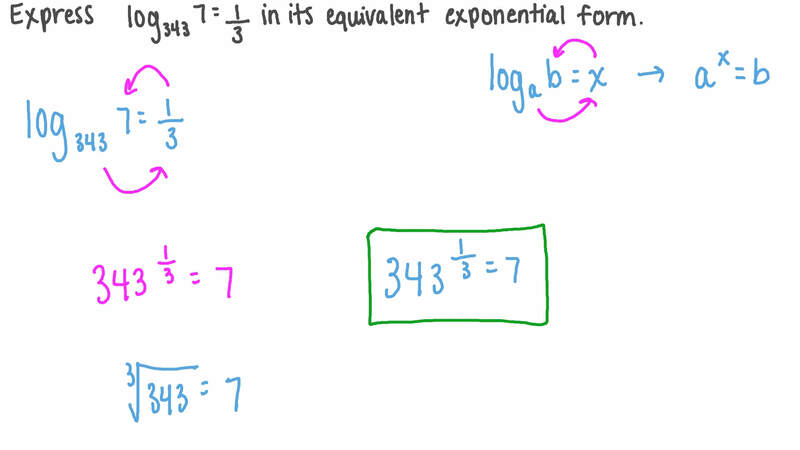 In this lesson, we will learn how to rewrite the equation y=logₓ(z) in the exponential form xʸ=z. Express l o g 3 4 3 7 = 1 3 in its equivalent exponential form. Express l o g 6 1 3 6 = − 2 in its equivalent exponential form. The intensity levels 𝐼 of two earthquakes measured on a seismograph can be compared by the formula where 𝑀 is the magnitude given by the Richter Scale. In August 2009, an earthquake of magnitude 6.1 hit Honshu, Japan. In March 2011, that same region experienced another earthquake with a magnitude of 9.0. How many times greater was the intensity of the 2011 earthquake? Round to the nearest whole number. Solve for 𝑥 𝑥 = 2 l o g 5 . Consider the logarithmic equation l o g 5 2 5 = 𝑥 . 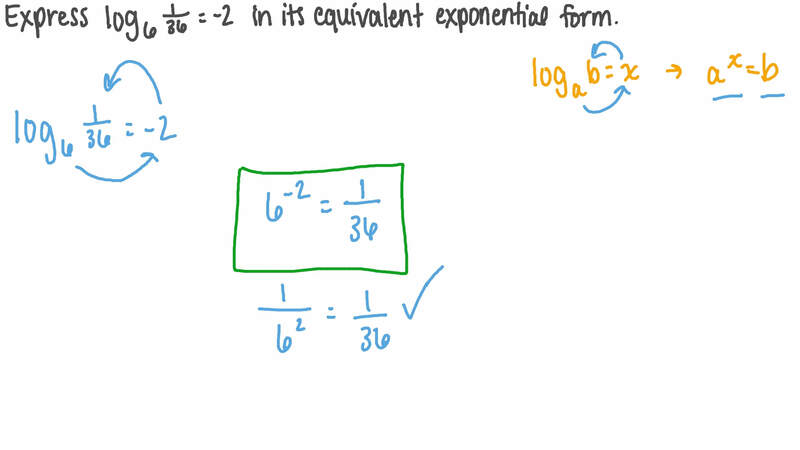 Convert the equation to exponential form.